Vivo has launched a selfie-focused smartphone called Vivo Y67. It packs a 16MP lens for Selfie shoot and 13MP camera located at the back with a single Led flash. Vivo Y67 also features a fingerprint scanner, which is located in the front (Home button). It's also 4G LTE enabled, packs a 4GB of RAM + 32GB Internal memory. Vivo Y67 spotted in different colors option, which includes Rose Gold, Beige and Gold. 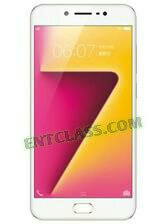 See the full list of features Vivo Y67 got.